A Santa Monica bike store was profiled in a trade publication and they dished that one of their customers is actor Will Ferrell, who rides a Bianchi L'Una (size: 61-cm). 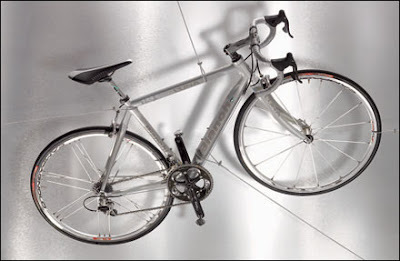 The L'Una was named the best road bike of 2006 by Outside magazine's editors, who said it is "blindingly fast, impeccably equipped, and designed to turn heads." Ferrell earned a $20 million paycheck for "Talladega Nights: The Ballad of Ricky Bobby," so he probably didn't blink at the L'Una's $5,000+ pricetag.